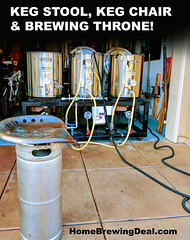 MoreBeer.com Coupon Code Description: For the next two days at More Beer, you can use promo code PUMPMADNESS to Save 10% on March Home Brewing Pumps! 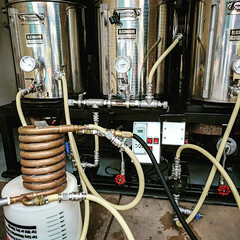 This includes the full line of March pumps carried by More Beer, from stainless steel starter pumps all the way up to Nano Brewery pumps. Coupon Code Description: Today’s deal of the day More Beer promo code saves you $25 on a stainless steel march pump for home brewing! 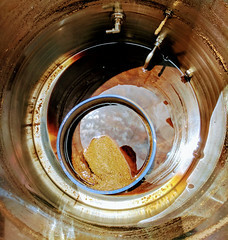 Home brewing pumps can be invaluable in home brewing and stainless steel is an ideal material for the head to be built from. Recently March released a stainless steel version of their well known home brewing pump and MoreBeer has it on sale today while supplies last! Because the pump is magnetic, where the magnet spins on the other side of a sealed wall, it is seal-less and easy to sanitzie. All the parts that come in contact with liquid are made of Stainless Steel, Teflon, Silicone Ryton or Glass. These are the same home brewing pumps that I use on my brewing rig, only with the stainless steel head. I have been using mine for over 4 years now and they work like champs! 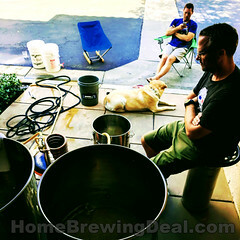 Get a New Chugger Homebrewing Pump For Just $95 and Free Shipping! 1/2″ mpt inlet and outlet. High Flow rate of 7 gpm. 115v 55″ cord and plug attached. Rotatable head for custom configuration.